Besides the competing startups, #DEMODAY event will host also 2 inspirational speakers who will introduce their striking and trendy products. Entrepreneurship stories based on the first-hand personal experience will be presented by Martin Skalník and his original sport pocket bags MASK Gear and by Michal Boháč with his unconventional solution in the scope of 3D printing TriLAB. Whole DEXIC Accelerator programme as well as the final public event #DEMODAY, during which investors, startups, partners organizations, mentors, and broader public will be present, is supported by the startup ecosystem from all around the Czech Republic - South Moravian Innovation Centre (JIC), ITACA Business Incubator, Central Bohemian Innovation Centre (SIC) and Technology Centre Hradec Králové. 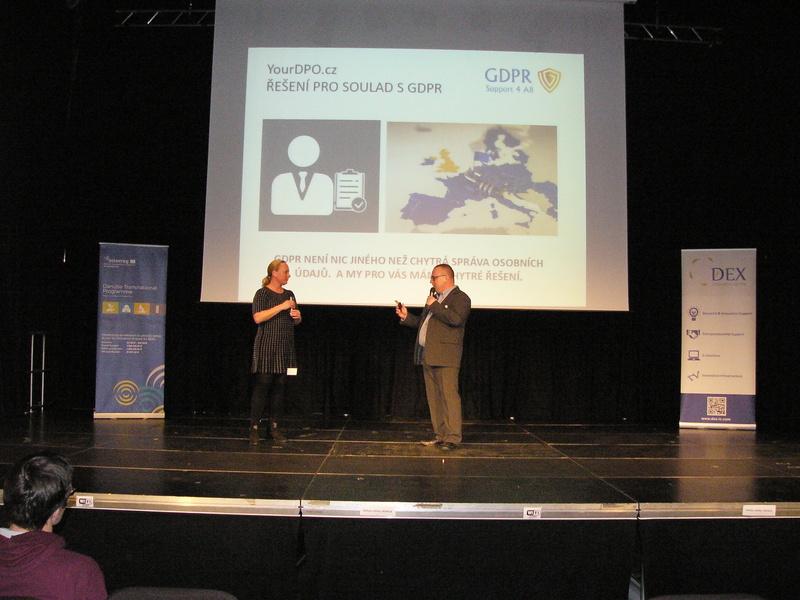 Project is at the same time realized with the support of the regional partner – Liberec Region Office, where the whole intense 4-weeks programme, except the #DEMODAY event, took place - premises of the Evropský dům. 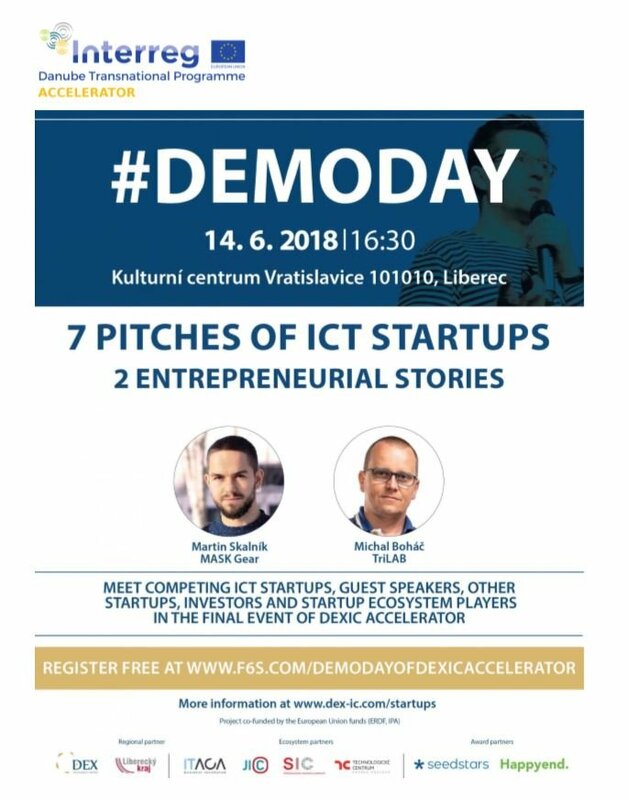 The main organizer of the acceleration programme is DEX Innovation Centre from Liberec, which supports startups and improves society through the research and innovation. The project is co-funded by the European Union funds (ERDF, IPA). For more information about the Accelerator programme click on www.dex-ic.com/startups.